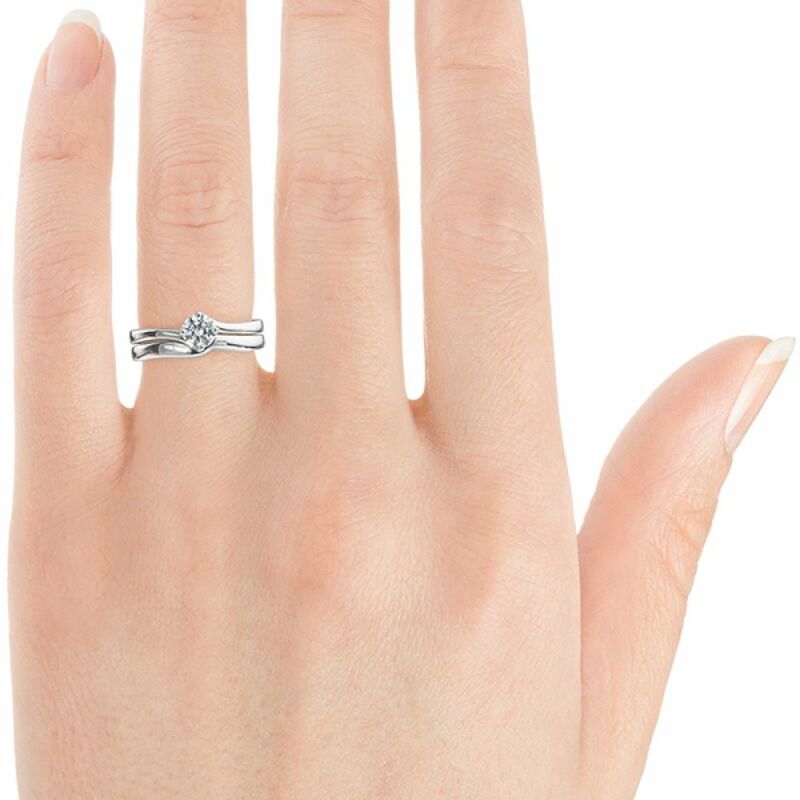 The 4 claw twist engagement ring features four simple twirling claws, flowing from tapering shoulders around your choice of round brilliant-cut diamond. Offering comfort from a court profile band, the design is simple—perfectly framing your diamond with understated elegance. We will contact you shortly to make sure your engraving options are perfect. 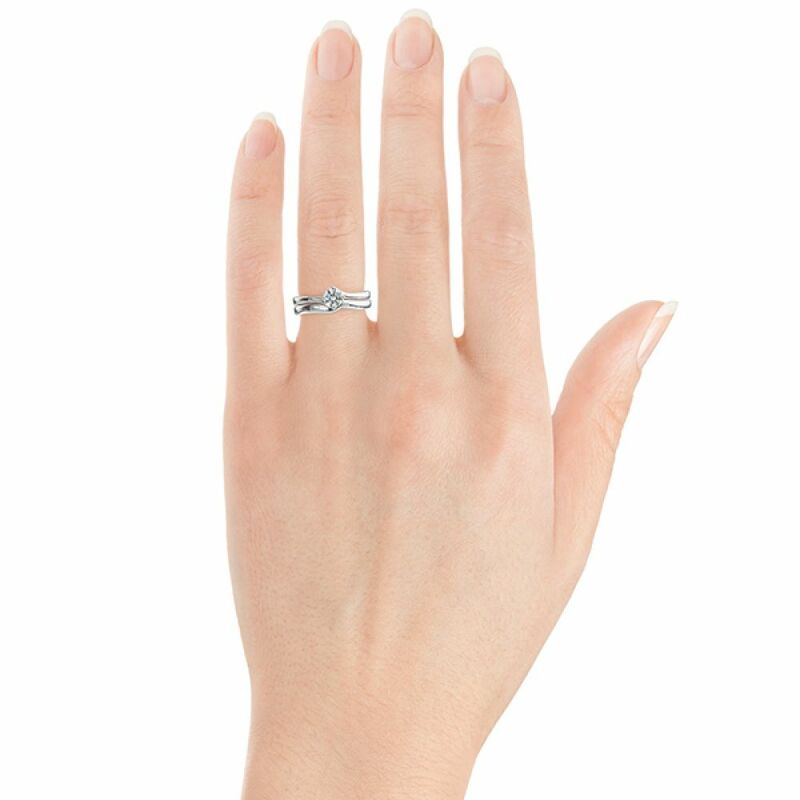 ﻿﻿﻿﻿The 4 claw twist Engagement Ring benefits from a practical setting height – ideal for daily wear. 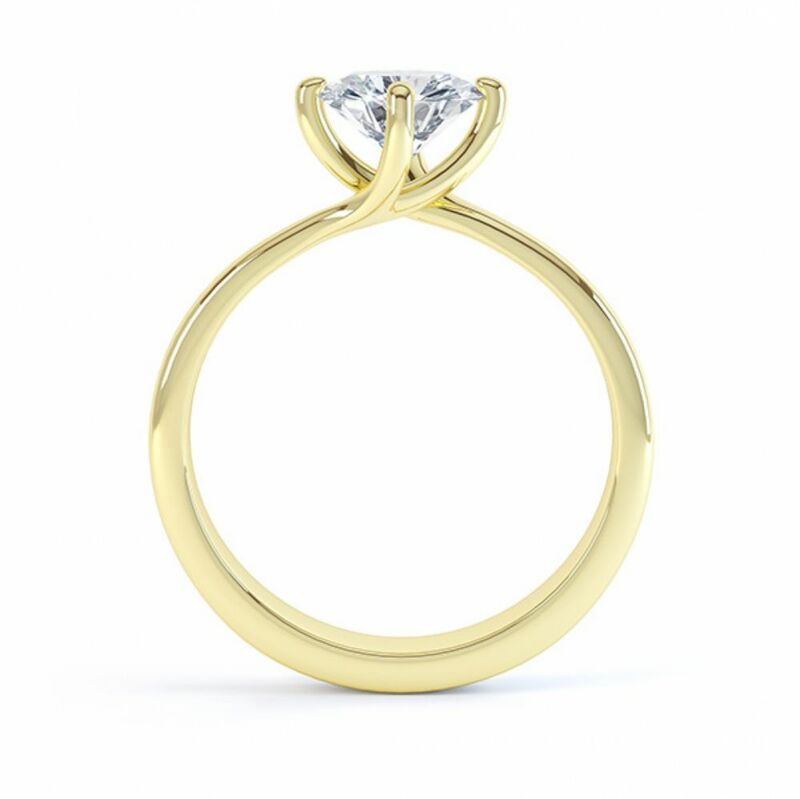 The setting turns with a gentle spiral to embrace a Round Brilliant cut Diamond. Elegantly balanced for weight and style, the comfort-fit court band flows seamlessly into each prong. Refined, slender shoulders flow from a 2.5mm wide band. 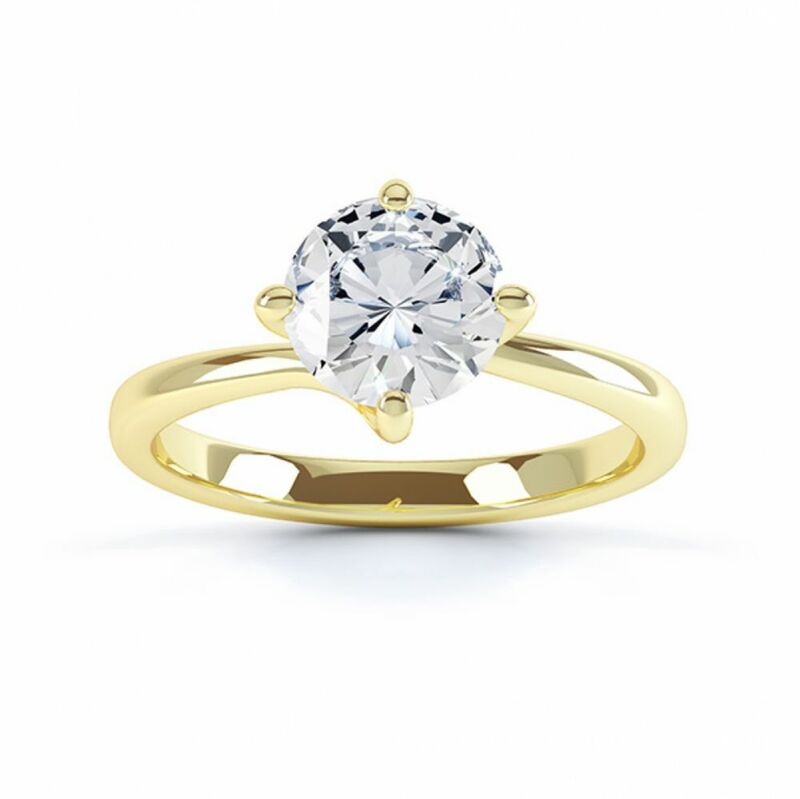 The substantial band of this ring design is suitable for future size adjustments. 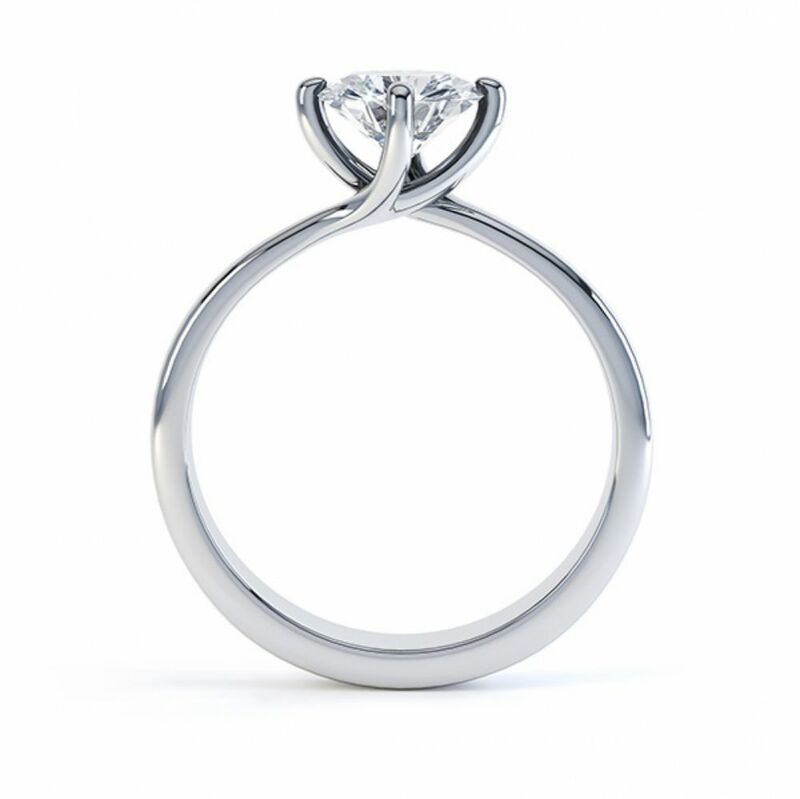 The existing shaped wedding ring design sits perfectly alongside and is available for order plain (see below) or customised with small Diamonds set into the band. This specific design is just one of a few differing twist styled rings. Please contact us for additional advice on any of our designs. Choose your specifications from the drop-down menus or contact us for further personalisation including alternative precious and semi-precious gemstone choices such as Blue and Pink Sapphire. Please allow 4 weeks for this elegant design to be crafted before it is delivered beautifully presented in our luxury white presentation box with accompanying pocket box as shown below. Your completed ring will arrive by fully insured courier to your door with international delivery available on all orders. ﻿Twist features many simple styling details making this a very popular design. This ring design is available in a full range of diamond options to suit most budgets. We create this ring design in many precious metal options, including our recommended choice of Platinum. Twist - R1D002. Mount Only. 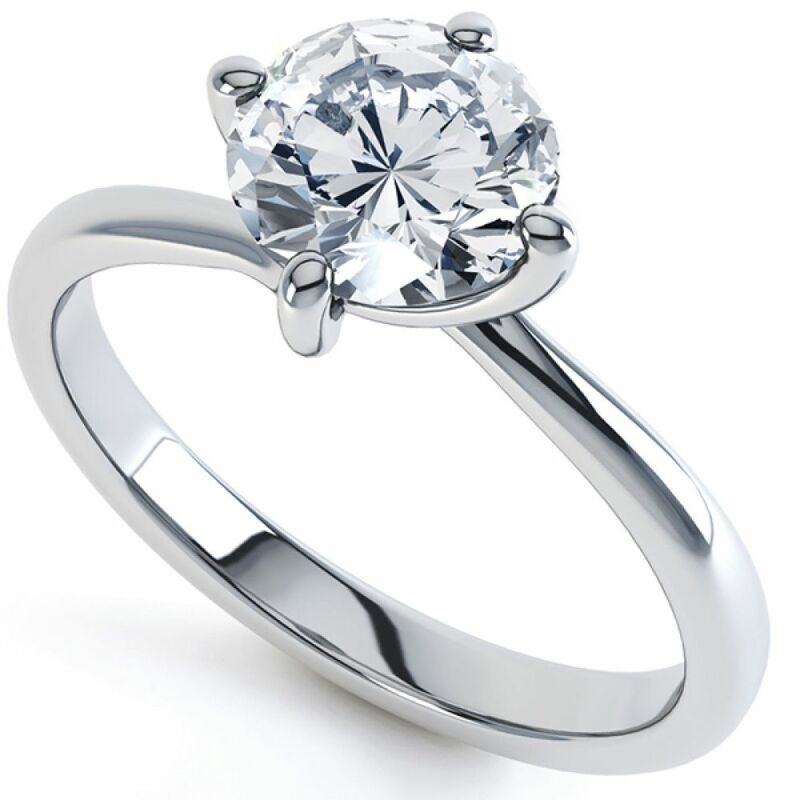 Metal: 950 Platinum Carat 0.80 finger size M.
Service rating : Amazing customer service. Wanted a specific diamond that was not available online and got great help from one of the staff members. Product : Amazing ring, great box and package in general. 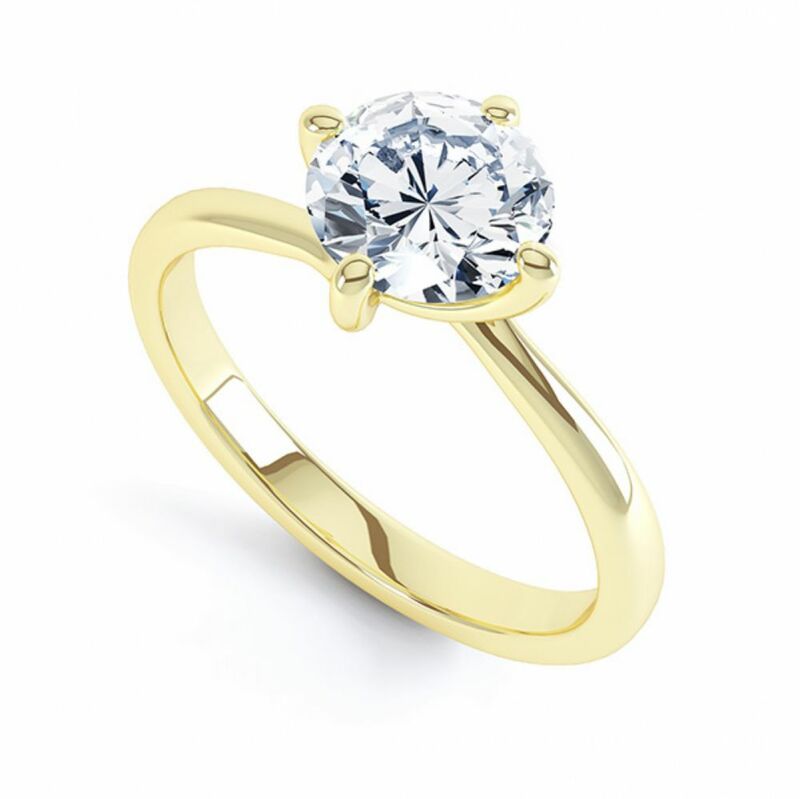 Product : The ring was perfect in every way possibly more so that expected . Service rating : Absolutely first class from the very beginning. 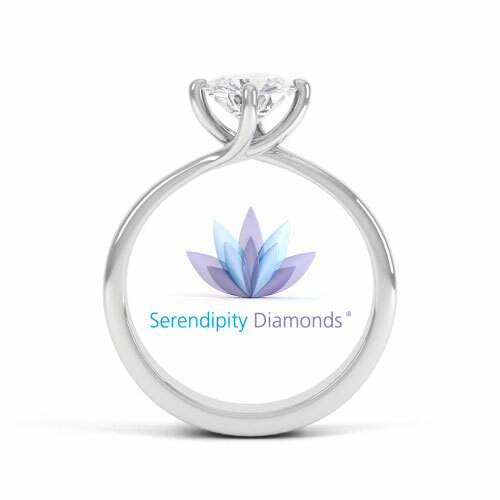 I was very picky with my diamond choice and I had a very tight deadline but they worked tirelessly to get my order completed swiftly. 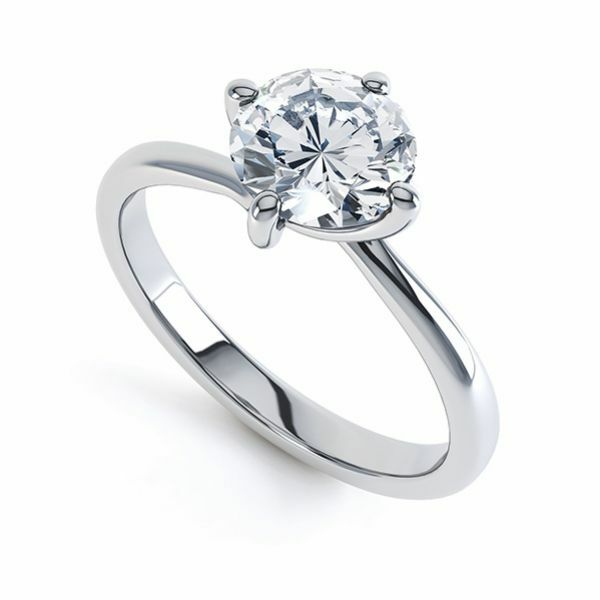 Product : My fiance loved the style and how the diamond sits in the claws. It suits her perfectly. Great communication. Did everything they could to make it as easy as possible! I am extremely happy with my ring. The ring is well made and the diamond is sparkling just as I had hoped. They also made me a wedding ring to fit with my engagement ring which again is an excellent fit. Thank you for all your help. I haven't had it under magnification but it looks beautiful with the naked eye, comes with all the relavant GIA documentation and and I'm very happy with the quality and price. Again - five stars people! Service rating : See below. Product : Can't find any fault with the service or product. Infact will speak to them again for the wedding ring in the future. Service rating : Excellent advice and friendly service. Product : Great product including certification. Service rating : Mark is great! Product : excellent!! my wife loves it! !